Mechelen Market Planet | Flickr - Photo Sharing! 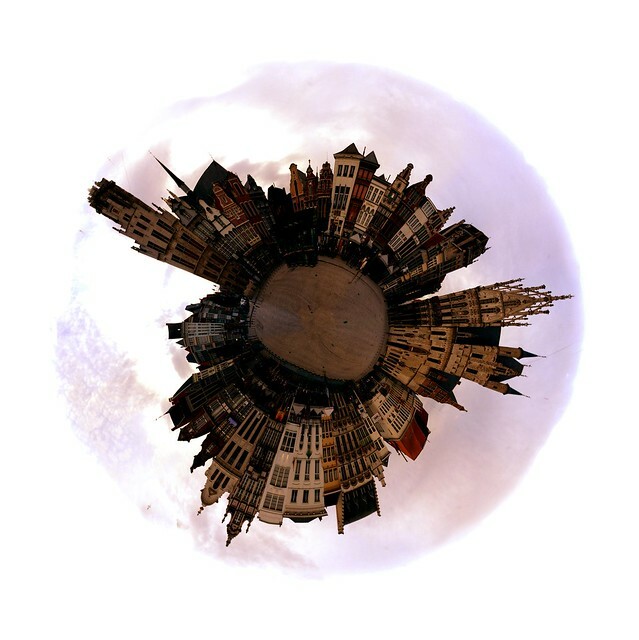 This is a polar-coordinate conversion of a 360 degree panorama of the market-place in Mechelen. The original panorama was stiched from 19 shots and was about 22000x3000 this is 3000x3000. leobard, WithoutFins, and 3 other people added this photo to their favorites. I blogged this, hope you donot mind ? nice: can you post a pointer to how this is done? Essentially you shoot a 360 degree panorama somehow, stitch it to a large rectangular photo, resize it to be square and apply the reverse polar coordinates transformation you can find in gimp or photoshop.